The New York Police Department's social media staffers were probably sick of the occasional negative imagery of NYC's Finest on Twitter, so they thought they'd turn the idea on its head today with the tweet seen below. Bad idea. And really, given the often sociopolitical nature of social media, what did they expect? Twitter users pounced on the opportunity to tweet any ugly image involving Gotham's police they could find. 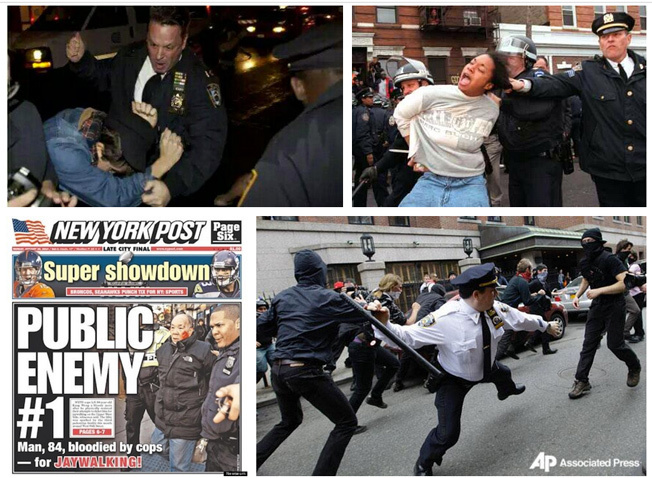 Because of such activity, the #myNYPD hashtag skyrocketed to the top trending topic in New York and second nationally this afternoon. Not the kind of social attention the police department was looking for. Update: This story's headline was changed. An earlier version used the word "trolls," which many commenters felt was an unfair word choice.